There seems to be a growing number of popular smartphones that are being treated to the Android 4.1 Jelly Bean update in the last few weeks, even though there are still a number of handsets waiting to get the previous version of the Google mobile operating system. Today we have news for Verizon users in the US that own the Motorola DROID RAZR HD and DROID RAZR MAXX HD, as the Jelly Bean update release nears. Previously Motorola promised the update would arrive before the end of the year for the two handsets, and now Verizon has announced that the Android 4.1 Jelly Bean update will begin rolling out to users from next week. No exact start date was revealed and the update will be staggered, and the carrier has also revealed what kind of new features owners of the handset can look forward to once the update arrives. The update is software version 9.1.41.XT926.Verizon.en.US, and is sized at 276MB. The carrier is advising users to have a fully charged battery and to carry out the update via a strong Wi-Fi connection, and Verizon is promising there will be improved voice and data connectivity in the update. Other new features coming to the smartphones include an enhanced notifications panel, voice search, Google Now, smart keyboard, and much more. Owners of the handsets would have started to get a little fidgety waiting for the update to arrive after seeing the Droid RAZR M already treated to it, but will now only have a few more days to wait before it lands on their handset. The carrier is also providing owners of the handsets step by step instructions of how to achieve the update if they need it via the links above. It does seem that the various smartphone manufacturers are getting Jelly Bean out to devices quicker than they did with Ice Cream Sandwich. With all Android updates it can be the various carriers holding the release of the software up before giving it the OK to be released to end users. 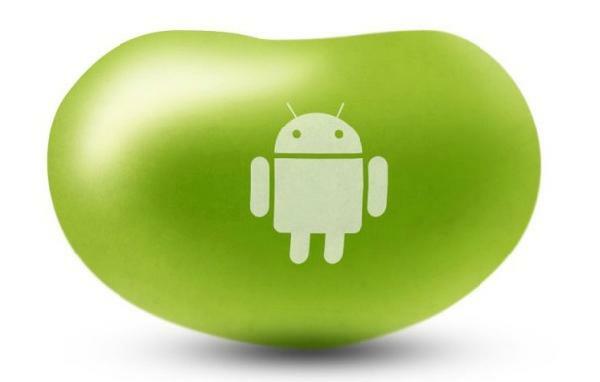 Do you think Jelly Bean is getting pushed out quickly enough?